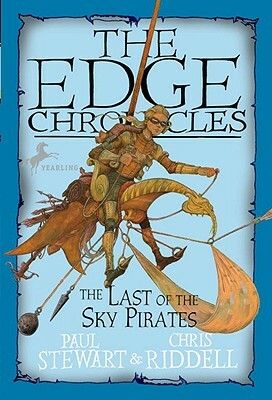 The newest paperback installment in the exciting Edge Chronicles! Rook Barkwater lives in the network of sewer-chambers beneath Undertown, the bustling main city of the Edgeworld. He dreams of becoming a librarian knight—one of those sent out to explore the mysteries of their world. When his chance comes, Rook grabs it! Breaking all the rules, he sets out on a journey to the Free Glades and beyond. His luck and determination lead him from one peril to another until, buried in the heart of the Deepwoods, Rook encounters a mysterious character and is thrust into a bold adventure that dares to challenge the might of the Guardians of the Night. . . .
Paul Stewart is the author of a number of previous titles for children. Chris Riddell is an accomplished graphic artist who has illustrated many acclaimed books for children.